Cunninghame Housing Association (CHA), working in partnership with North Ayrshire Council and the Scottish Government, has completed a new build development at Dippie Gardens, Waterside Street, Largs. This £1.1 million project has provided 12 new one-bedroom flats for rent. The new development is built within a central location, allowing residents to access local amenities. The flats have been designed with lift access making all flats accessible for those with mobility problems. The works were carried out by RDK Construction, an Ayrshire-based contractor which entered into a design and build contract with Cunninghame Housing Association to deliver the project. An official ceremony took place on Thursday 24 March 2016 to formally mark the completion of the project and was attended by Craig Hatton, Executive Director (Place) North Ayrshire Council. The name of the new development, Dippie Gardens, reflects the history of the site where the new flats have been built and the Dippie family who lived in the former lodge house for many years. Members of the Dippie family were also in attendance at the ceremony to share in the occasion and to commemorate their family’s history in the area. “This project is another excellent example of partnership working providing quality homes in an area where much needed demand for affordable housing exists. We are delighted to once again have the support of our strategic partners North Ayrshire Council and the Scottish Government to enable us to deliver these new high quality homes. 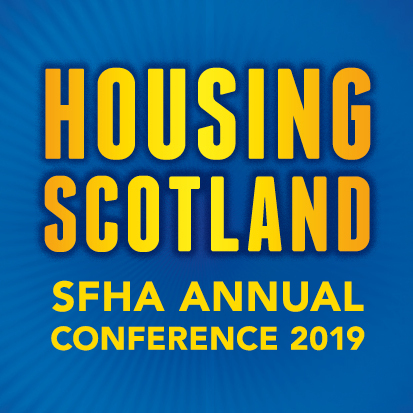 “This is a fantastic development that demonstrates the partnership approach taken by Cunninghame Housing Association and North Ayrshire Council to develop housing in the area that meets the needs of communities. Pictured: Craig Hatton, Executive Director (Place) North Ayrshire Council formally opening the development.